I called my oldest daughter at 7:35 a.m. this morning. She drives by the Superdome on her way to work. Long. But hard to really tell. 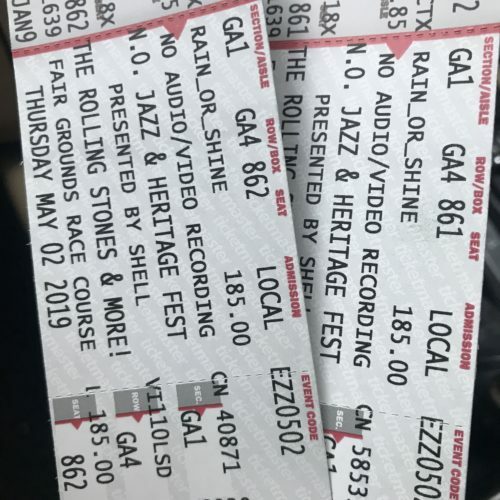 Media outlets reported “hundreds” had lined up overnight to be the first Louisiana residents to buy tickets to the New Orleans Jazz and Heritage Festival for May 2, when the Rolling Stones will headline. 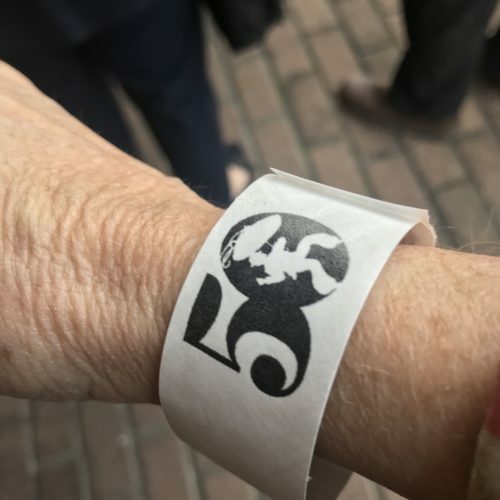 Louisiana residents were getting first chance at 10,000 of the coveted passes. In time-honored Galatoire’s style, a few had paid line-standers. Not my style. I tuned into social media off and on all day. Twitter, Instagram and Facebook were oddly short of solid info. 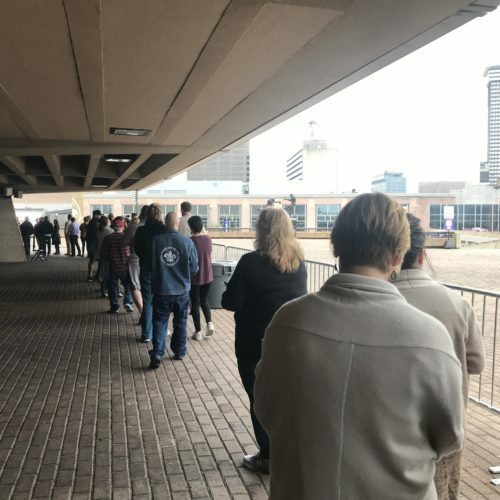 Rumor, however, always speedy on the winds of social exchange in New Orleans, had it that lines wrapped the Dome, that the wait was hours long. My son-in-law’s friend Dan reported lengthy lunchtime lines – such is the source of news in this big-town-small-town. Heading home from a lakefront meeting around 3:30, I serendipitously exited I-10 at Canal. Why not check it out? And I spent the next hour in an only-in-New Orleans alternate dimension. 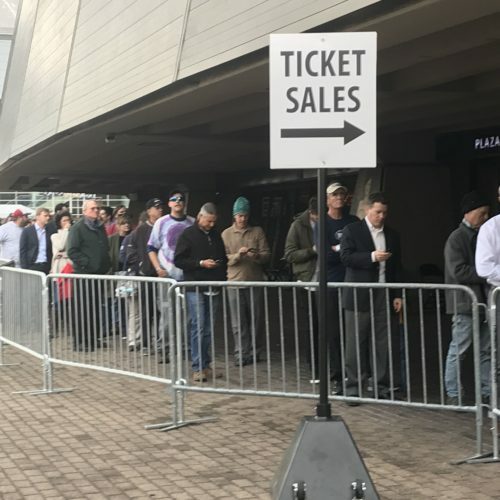 Here are some thoughts on Waiting In Line With Louisianians at the Superdome for Rolling Stones Tickets. It was old friends’ week. You always run into people you know here, and I did just that. Behind me: A marketing acquaintance back home after a few years in Paris. In front of me: one of my husband’s young law colleagues. 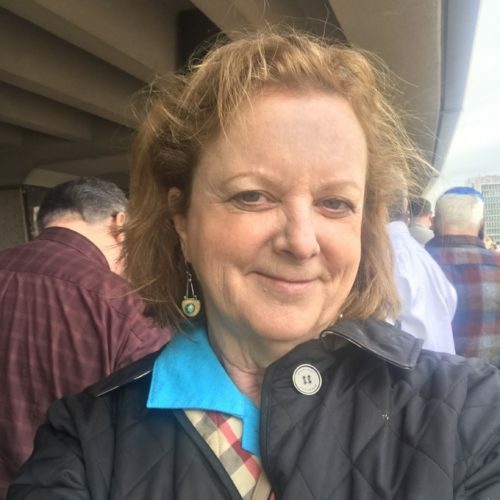 Here and there, people I knew from long-ago booster days or present-day organizations. You always run into people you know here. Especially if you aren’t wearing makeup. It was new friends’ week. People talk here. They bond. Confusion reigned (see below) as we wandered around wondering how to get the wristbands necessary to join the ticket line. One new BFF led the way to a friendly officer, while another headed to the ticket line at Gate H on the other side of the Dome. We exchanged phone numbers so we could text information back and forth. My new friend Lisa and I spent an hour chatting about her daughter (waited that morning but Mom didn’t get one of the tickets) and mine (didn’t wait at all and wants one of mine), her job, my job, her life on the Northshore. Maybe I’ll see her somewhere in front of the Acura stage. Maybe I won’t. But if I do, she’ll wave and say hello and remember me. Nothing is ever straightforward in New Orleans. We love the spontaneity of things, and hate the spontaneity of things. No one knew where exactly to get wristbands. Wristbands were needed to get in the ticket line. A number of people got in the ticket line without realizing they needed wristbands. 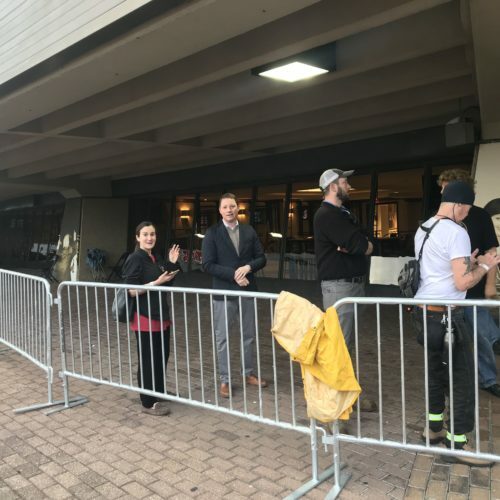 No signs indicated where to stand or how to get wristbands. Rumors went around that you needed cash. No, there was a cash line that was shorter. Friendly Officer DiMatteo thought more wristbands were coming. 10 minutes, maybe. Whatever, people shared all bits of info they had gleaned and joked good-naturedly about the rest. People passed a good time. No feathers were ruffled in this line. A guy in front of me posed in front of each giant Tom Benson photo we passed; everyone got into the act. People behind took selfies. Strangers exchanged opinions and jokes and lots of reminiscences of Jazzfest. No politics, no arguments, no jostling. This is what the world should look like, right? And everyone loved the Rolling Stones music being piped in over the loudspeakers. Nice touch! Maybe they should try that in Congress. There is no “typical” Jazzfest fan. Or Rolling Stones fan. The people around me ranged from a newlywed to a hip middle-ager who had sold his car and now gets around on a bike. Twentysomethings, fortysomethings, octagenarians. That’s how Jazzfest looks. Well, except that one year when Phish performed. 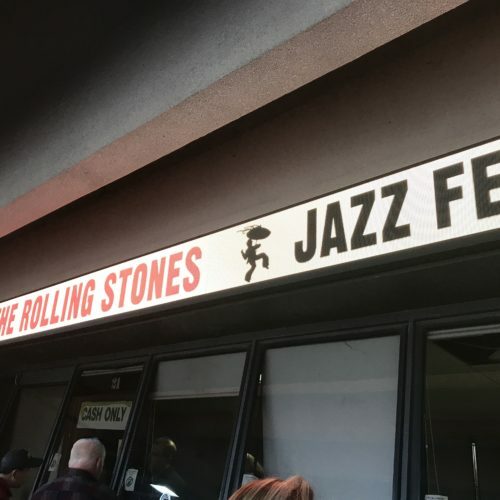 Thanks go to the Jazzfest folks for opening up sales to Louisiana residents first. Not many international festivals would have been so thoughtful. People in line appreciated the nod. By 4:45 I had my two tickets in hand ($401 with fees) and was headed away from all those new buddies. All 5,000 wristbands bad been awarded, and it looked like all 10,000 tickets would be gone an hour before the 6 p.m. closing. The crowd dispersed, happy, expectant … and humming a little “Paint It Black” under their breaths. 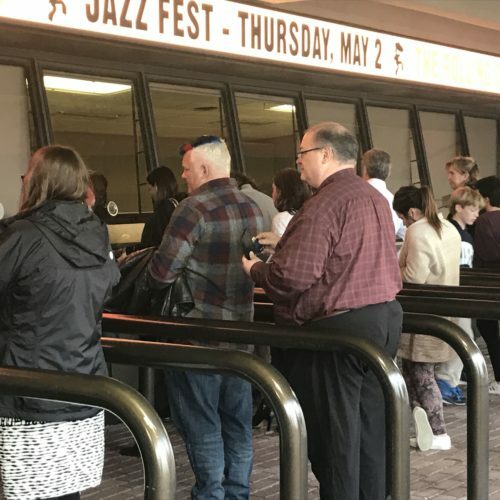 Editor’s update: As of 11 a.m., according to Ticketmaster, all May 2 general admission have been sold and any available tickets are on the resale market only. The starting rate for resale? $400 each. And for Ticketmaster speed-dialers, Hamilton in New Orleans tickets were also going fast. Is Jazz Fest crowd trading maps for apps?